Living in Parker Colorado is a big draw for home buyers and people looking to plant their roots in a smaller Colorado Town. In the past 5 years I’ve noticed a lot of young families just starting out and a solid influx of empty nesters moving to Parker, Colorado. Since 2011 the relocation market, buyers moving to Parker, CO from out of state, has also seemed to pick up steadily. The Parker Lifestyle seems to work for almost anyone looking for a place in Colorado to call home. 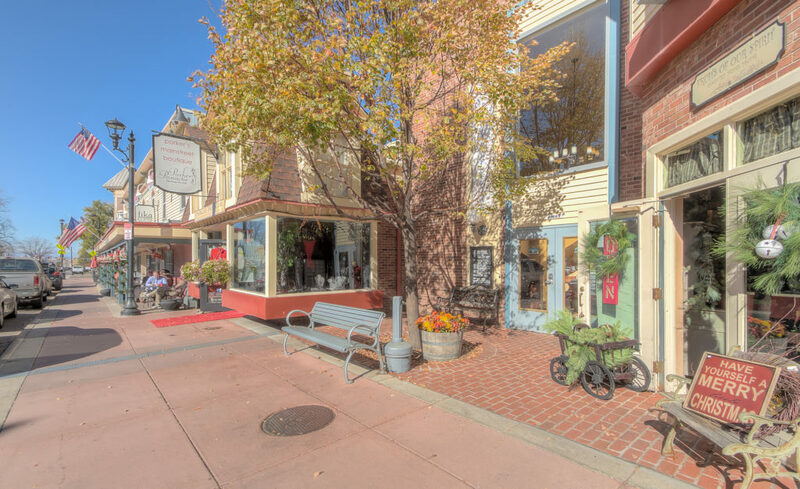 The Parker, Colorado Lifestyle consists of typical family oriented small town living but definitely does NOT have a sleepy small town vibe. Parker is anything but sleepy in fact I would say it is just the opposite. Just ten years ago you would have been lucky to find a hand full of people out past 7pm in downtown Parker. Now the Downtown Parker, CO area is full of abundant nightlife with various bars, restaurants, live music, and a brand new Distillery and Tap House that should open in 2018. Parker, Colorado Relocation. Douglas County, Colorado Relocation. Is your job or lifestyle change relocating you to Parker, Colorado or Douglas County, Colorado? I work with all relocation companies whether they are large national relo companies or smaller regional relocation companies. I’ve moved people to and from Parker, Colorado and Douglas County from all over the world. Also read Why Live in Parker, Colorado. More information about Parker, Colorado. If you read this article and find that you have more lingering questions call me directly at 303-941-4663. Steven Beam, RE/MAX Realtor, CRS. I will be happy to discuss areas, neighborhoods, schools, businesses, recreation or whatever you need to help you make a smart buying decision. Recreation opportunities Living in Parker Colorado. The outdoor lifestyle here is supported by wealth of recreation opportunities many of which are supported and maintained by the Town of Parker. 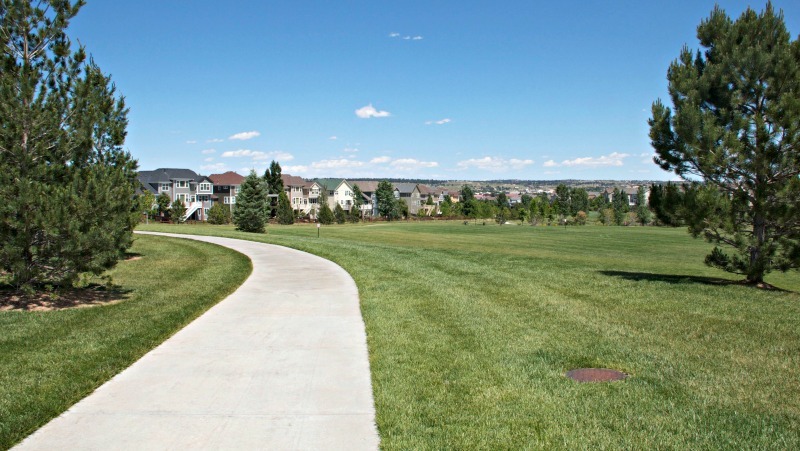 There is a regional trail called the Cherry Creek Bike Path that connects most of the neighborhoods within Parker to the main Cherry Creek Trail System. You can literally ride your bike from Parker, Colorado to Downtown Denver, Colorado via the Cherry Creek Bike Path System. Hiking and mountain biking trails are easily found within 5-10 miles from downtown Parker. Castlewood Canyon offers great hiking and canyon exploration. We love hiking here in the winter as much as we do in the Spring, Summer and Fall months. Hidden Mesa is a great mountain biking trail to go burn off stress after work or on the weekends. My daughter loves rollerblading down the Cherry Creek Bike Path. Of course the Colorado Rocky Mountains are only 30-45 minutes away. I live in Parker and I can be at Copper Mountain in under 2 hours for all the skiing my family can handle. Living in Parker Colorado Golf Courses. Parker is homes to several public and private golf courses. If you are a golfer you should have no problem getting a tee time in Douglas County. Our family enjoys the twilight tickets most courses offer. For the twilight tickets you start playing at 3:30 or 4:00 and pay a reduced rate to play as many holes as possible until it gets dark. 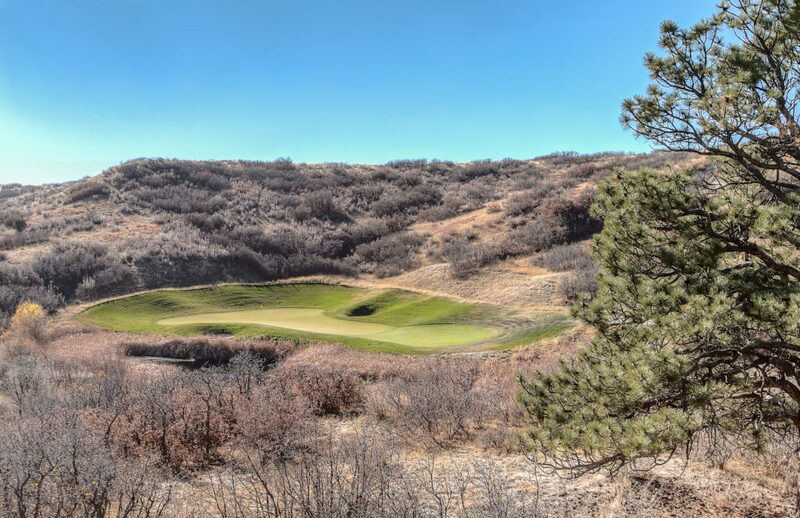 Parker, Colorado Private Golf Courses include the world renowned Colorado Golf Club. Did you know that Colorado Gold Club is hosting the 2019 U.S. Mid-Amateur Championship? Two other great private courses include The Club at Pradera and The Pinery Country Club. Pinery and Pradera can be joined together or separately as they are owned by the same company Arcis Golf. Black Bear & Blackstone may also be joined together or separately. They are owned by Clubcorp. Would you like a tour of Pradera, Pinery or The Colorado Golf Club? Call me and I will make it happen. Maybe you need lunch and a round of golf before you make a decision on which club to join? I can make that happen too. Steven Beam 303-941-4663. Living in Parker Colorado Demographic information. Parker, CO is a highly educated, high earning and relatively young community. Parker is more than double the national averages for educational attainment and earned income. Located in Douglas County, Colorado. This information is provided by the Parker Economic Development Office. Parker Colorado is 21.17 square miles. 37.1% of Parker residence have a Bachelor’s degree or higher. 15.5% have a Masters Degree or higher. Empty nesters and retirees seem to like the climate and of course the Parker Lifestyle. Many retirees are moving here to be near kids and grand kids. Parker is now offering more and more ranch style and main floor living homes. Ranch style homes were once pretty hard to come by in Parker but builders have answered the call and you can now find them in almost every development. Did you know that the Denver Metro is said to have over 300 days of sunshine per year? That is supposedly more than even San Diego, CA receives. Contrary to what you see on Monday Night Football… Denver, Colorado and Parker in particular are not anything like the North Pole. Luckily it always seems to snow when the Broncos play on Monday night…which is good for ski resorts. Ski vacation bookings go through the roof when it snows during a Broncos Monday Night Football game. Obviously this is good for our economy. The truth is that it snows very little here (down on the Front Range) and when it does the locals know it will typically be melted within 24 hours. Parker, Colorado is considered a high plains desert so it is typically dry. Remember that we are one mile closer to the sun too so when the sun is out it feels warmer than the thermometer tells you it is. When it’s 40 degrees outside and the sun is shining you feel a lot warmer than 40 degrees. Don’t be surprised to see golfers out in January and February in golf shirts. Living in Parker Colorado, Charter Schools, Elementary Schools, Middle Schools and High Schools. On the homepage of this site you can scroll down to about halfway and find school in formation. You can search for homes that feed into specific schools. Example: Click on one of the schools you like in the dropdown box and it will automatically show you every home currently for sale in the MLS that feeds into that school. On the homepage of this site there is also a Map of Parker Colorado Neighborhoods and all of the homes for sale within each neighborhood. You can see where the neighborhoods are located and what homes are available. Parker is home to some amazing Charter Schools as well. Two new Charter Schools are also being built over the next 24 months to help accommodate the demand. My children currently attend North Star Academy here in Parker, Colorado and have also attended PCK or Parker Core Knowledge. With the new Charter schools opening soon there should be good availability for new students living in Parker Colorado. I have a good handle on the Charter School System here in Parker so please feel free to call me if you have any questions. Steven Beam 303-941-4663. There are many good options for schools here in Parker, Colorado and I’ve never had a client that couldn’t find just the right fit for their kids and their family. Open Enrollment in Douglas County Schools. Not sure the neighborhood school is the best fit for your child? Maybe you want to live in one neighborhood that doesn’t feed into your preferred school? You have options and the Douglas County School District will help you find your best case scenario. Click here to learn more about Open Enrollment in Douglas County Schools. If you have more questions about Living in Parker Colorado call me at 303-941-4663. Steven Beam is a 16 year real estate veteran in the the Parker, Colorado area. New Listings in Parker, Colorado. Updated every hour.